Whenever you hear about water heaters, it’s always in the context of home consumption and improvement. However, now that you’re thinking of starting your own business and setting up a base location, you want to figure out the right water heater you’ll need to keep your company going. And regular water heaters aren’t going to cut it. That’s why commercial tankless water heaters are a great solution for water heating in any business. This also applies to those who want to go all-in and invest in a top-quality high-grade tankless water heater. The switch to commercial heaters is becoming really prominent in various industries and companies because of their ability to save businesses money with low running and maintenance costs. Not only that, but commercial tankless water heaters can keep up with the demands of a large consumer base, help conserve energy and give you longevity in use so you can rely on your business or home never running out on hot water. With all that in mind, here are some reviews of what I consider to be the best commercial tankless water heater available on the market. Dimension: Height: 14-1/2" Depth: 4-5/8"
Stiebel Eltron ensures that your home is never left with just cold water to wash hands with. You can save a lot of money and water with the Stiebel Eltron 232098 Mini 2.5 Commercial Tankless Electric Water Heater. This strong and effective masterpiece provides you with the benefit of unlimited hot water supply that never runs out. It is managed using a basic flow switch and comes with a safety high-limit and manual reset which helps you avoid any scalding while regulating water temperature at safe levels consistently. It works well for inlet cold water supplies. Since it is made for point-of-use installation, you don’t have to worry about heat wastage. 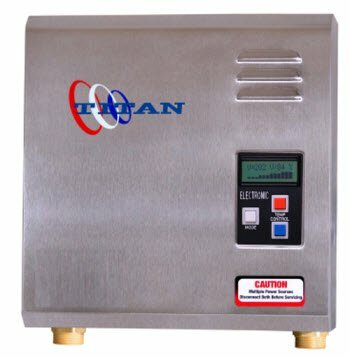 This commercial tankless water heater can give you immediate hot water at a flow rate of 0.5 GPM whenever you need it, all the time. The heater features an amazing advanced nichrome wire heating component that gives you great performance and durability for many years to come. Not only does its tankless design make installation seem like a breeze at 3/8-inch O.D. flex connections while removing firing, but it also helps avoid any Legionella bacterial growth, which is a rarity in most other tanks. The Stiebel Eltron MINI 2.5 features an elegant European style, and its compact design allows you to mount it in places out of sight, or even out in the open for a stylish look. Its new and state-of-the-art features and system will work efficiently anywhere with the sensor-actuated and metered faucets. To make everything even better, the water heater’s flow switch is designed to work silently and smoothly when activated for a quieter operation. The power usage of the heater comes down to 2400 watts at 120 volts, using 20 Amps. Furthermore, it comes with an accurately sized aerator and a wire pigtail for a better system performance. A high-quality heater from one of the most well-known water heater producers, Stiebel Eltron allows clients to benefit from brilliant German craftsmanship, performance, and services for a worthwhile price value. 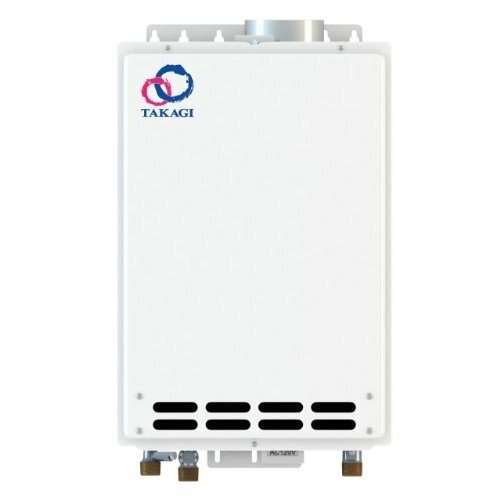 With the Takagi T-M50 ASME Commercial Natural Gas Tankless Water Heater, you can save significant amount of money on long-term utility bills. This water heater has an amazing flow rate of 14.5 GPM so that you have a great consistent flow of hot water every day. Moreover, you get an unlimited supply of hot water, which means your business and customers won’t have any shortage of hot water. The T-M50 ASME is specially designed for heavy-duty applications so that your home’s needs are effectively met. It is the largest Takagi tankless heater and the most powerful single-unit gas tankless heater on the market. With a gas utility of around 380,000 BTU, the heater can provide enough hot water for six bathrooms in hot climate. With such heating ability, the T-M50 is ideal for heavy-duty commercial use, which is why it is so commonly used in commercial locations like hotels, restaurants, offices, convalescent houses, and more. Commercial locales require durability and high demand, which T-M50 provides by being the only unit to provide a dual-combustion and heat exchange system for improved reliability and longevity. The heat exchangers incorporate HRS35 copper alloy in their design for added heat resistance and durability over lower-grade copper. It also comes with a thicker drum and an internal pump control port. The Takagi T-M50 is also perfect for domestic hot water use with its storage tanks, hydronic heating, recirculation ability and amazing floor systems. The heaters are completely modulated, gas powered, and work efficiently. Takagi is NSF rated for commercial applications, with additional safety features like freeze protection, anti-overheating system, surge protection, and code displaying for diagnostics and troubleshooting. The T-M50 ASME Heavy-Duty Commercial 14.5 GPM Water Heater is one of the best buys that you can find on the market today. 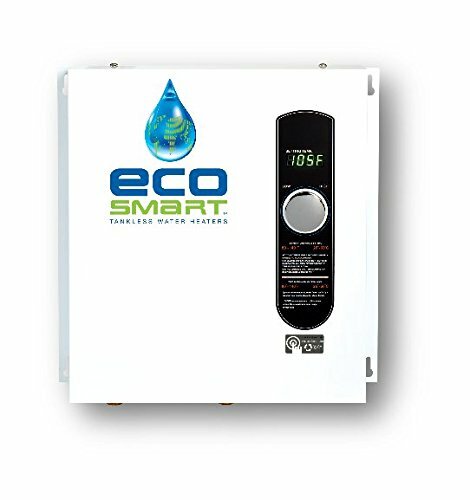 The T-M50 NG provides hot water for both commercial and home systems. It is a sister product of the mighty T-M50 ASME which all belong to the same T-M50 series that utilize the quintessential storage tanks, as well as the floor, recirculation, and hydronic systems all for the appropriate heating applications. 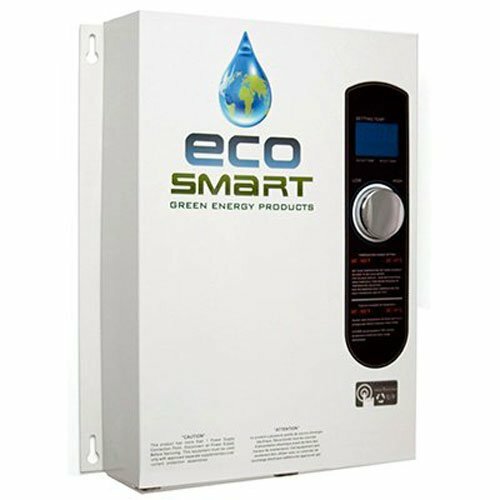 The T-M50 is a gas-powered tankless water heater with modulating functionality that makes it ideal for commercial purposes. Its gas power of 380,000 BTU allows the T-M50 to deliver a huge amount of hot water to supply as many as six bathrooms. Its thicker heat exchanger drum and HRS35 heat-resistant copper wire and tubing also make it a better option than low-grade copper models in terms of performance and durability. The heater’s dual heating system gives constant heating and activity so you don’t have to worry about any problems and comes with an Easy- Link System for 4 units and Multi-Unit System for 10 units. With a thermal efficiency of 80.2% and a high flow rate of 14.5 GPM, you can be sure to get constant and continuous hot water flow for days to come. In addition to that, you benefit from high standard safety protocol like freeze, overheat and surge protection, as well as troubleshooting diagnostic codes. Takagi also provides a great warranty of up to 15 years on the heat exchanger and as well as one for 5 years for the residual parts. 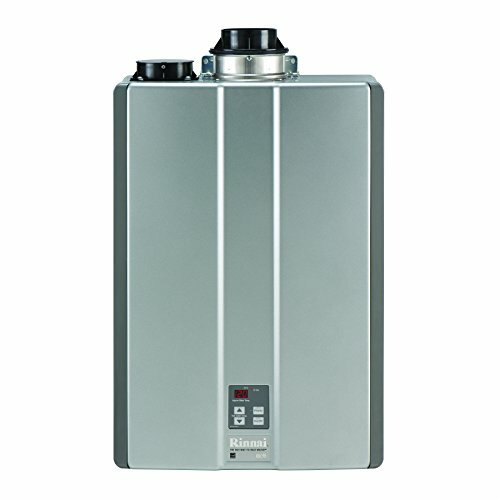 For a commercially suited water heater, the Takagi T-M50 NG is a great choice. When it comes to the some of the top electric tankless water heaters for commercial use, the Stiebel Eltron Tempra 36 Plus stands out in its uniqueness and innovation. Like all the tankless water heaters in the Tempra Plus series, this heater has garnered a ton of positive comments from buyers in terms of its performance and efficiency. The Tempra 26 Plus is durable smart water heater that can efficiently utilize your power source so that you end up saving a lot of money over time. With its compact and stylish design, users don’t have to worry about getting any additional installation space. You can have the heater fit into a small closet, under a sink or at the back of a furnace with no problems. The Tempra 36 Plus is the largest unit in the Tempra Plus series and is provided with three heating modules to make it ideal for commercial areas with a large demand for hot water or larger homes. With an energy efficiency of 99%, a water temperature that can rise up to 82 F and a water flow greater than 4.0 GPM, you know you’re getting a strong and powerful heater for its size. It also offers a minimum of 27 kilowatts and a maximum of 36 kilowatts at 208V and 240V power supplies respectively. The heater comes with a digital temperature display for temperature and a dial selector adjust the water temperature to your preference. With its low energy usage and advanced monitoring and adjusting technology, you can get the ease of use and convenience all at the same time. You can have your water flow automatically adjusted to a preferred temperature if the heat capacity is exceeded, which is great in cases where it’s not always ideal to figure out the water flow. This feature is unique to the Tempra Plus series which is what makes it so outstanding. Since Stiebel Eltron is such a popular and dependable brand name, you know you can rely on the Tempra 36 Plus’s quality and build when buying the heater. You won’t ever have to go through any cold-water surprises and rest assured that the heater will last you a very long time. The Stiebel Eltron Tempra 36 Plus has most accurate temperature control facility from all other similar products out there, so it only makes sense to include it in our list of best commercial tankless water heaters. The Eemax PR011240 is a lightweight heater, with the comparatively low bulk in the body that also manages to promise good durability and longevity. The heater has great insulation, but in comparison to other tankless water heaters, it is cheaper and slightly less efficient. That said, the heater manages to do an effective job at providing a continuous supply of hot water for heavy duty commercial use. This is essential because of the construction and build of the brass heat exchanger, which compromises for the low water flow rate by giving steady and consistent hot water without worrying about burns or running out of cold water. It does take some time to heat up, but you get to enjoy hot water continuously once it’s done. Clients get to avoid scalding accidents with the addition of LED displays and temperature control knob for easily adjusting the temperature to the desired level for complete control. The Eemax PR011240 can be installed as a separate unit on showers as well with its mounting ability so that a hot shower isn’t just a dream anymore. The heater is perfectly designed to keep all the parts intact to provide full performance. Repairs aren’t going to be a problem, but if a situation arises, you’ll need professional help to get it fixed. The great thing about the heater is that you can claim warranty from Eemax and other sellers as well, but that is a far-off situation considering its components are designed with good quality and build, so you don’t have to worry about that. With its lightweight and compact design, low power consumption, LED display and simple knob adjustment, you can be sure this is a great sensible choice for any commercial business owner. 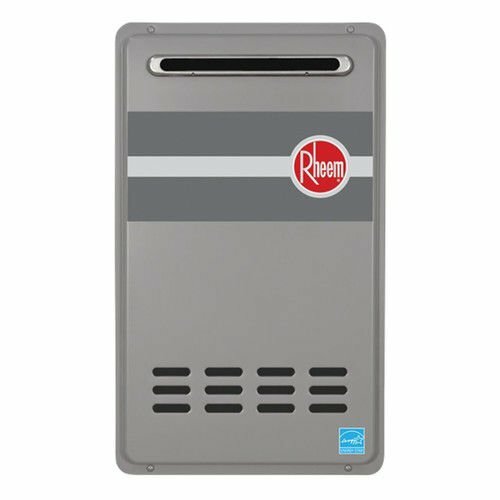 If you are fishing around for an ideal tankless water heater that works perfectly for heavy residential and commercial appliances, this tankless heater won’t disappoint you. It yields an amazing flow rate of 10.0 GPM by the maximum power consumption of 199,000 BTUs of natural gas which makes quintessential among other available options. Now, an endless supply of hot water doesn’t require you to spend bundles of dollars on energy consumption bills as the ATO-510-N is designed for efficiency. It is equipped with Tauscher copper heat technology that consumes 40% lesser energy than the conventional tank. Plus, it saves the maintenance cost. Electronic ignition keeps this device from using constant power consumption. It’s terrific features and performance are worth counting on. It doesn’t end here; the manufacturer has also put emphasis on the safe use of the product. The anti-freezing technology makes sure that it is as efficient in colder climates as in hotter weather conditions. It keeps the tubes from freezing and lets you enjoy the performance without any kind of damages. On the other hand, it also has the capacity to deal with excess pressure with its overheat protection fuse. Moreover, its use and setup are extra convenient and provide both inlet and outlet thermistors that allows you to keep a check on the water temperature. Along with a long list of incredible features, it also offers Heat-Exchanger and parts warranty for 5 years. Therefore, this is the right choice if you are looking for an efficient commercial tankless water heater for your home or business. Now, you can enjoy years of hot water without any trouble. The ATI-540H-N is everything you might want and features a temperature range from 100° F-185° F. Therefore, it keeps you safe from the trouble of adjusting the switches to higher temperatures. Moreover, its tiny size and weight ensure easy installation and this feature is quite rare in the product competitors are offering. When talking about the capacity, it beats many others. It ensures a supply of endless hot water for three baths. Therefore, it is ideal for commercial areas or larger homes. It can be extended to 4 baths if the weather is not very cold. Do not worry about the energy consumption as it uses only natural gas and utilizes 199,000 BTU. Besides its outclassed condensing system, it has one of the highest energy factors i.e. 0.95. This unit is reliable in terms of performance which is unbeatable. Not to forget the 15 years of limited warranty, the manufacturer is committed to providing you the best tankless water heater in the market. This AO Smith is constructed with HR35 cooper as a primary heat exchanger which means a high-grade copper that ensures efficient performance all the time. Moreover, the manufacturer included 316L stainless steel as secondary heat exchanger. Save money and enjoy high standards of efficiency at the same time. Another plus point of this ATI-540H-N heater is that you wouldn’t have to replace it if you intend to transform your residence into a commercial area as it is made for commercial applications as well. Also, it wouldn’t fail to provide protection against corrosion. Continuing to the safety features, it is equipped with freeze protection, overheat protection fuse and an inbuilt flame sensor. Temperature control with inlet and outlet transmitter also falls in the list of features. And yes, installation space is not an issue if you decide to pick this amazing unit. You would find plenty of options on the market, all claiming to be the best. However, not all of them have the capacity to provide you with high technology features that is demand for the trouble-free supply of hot water. Noritz NCC1991-ODNG is the option you might want to consider as its construction is all about innovation. It delivers full condensation and power consumption falls between the ranges of 16,000 BTUh to 199,900 BTUh. Noritz is known for its high-quality features that won’t let your money go waste. The primary heat exchanger is made with high-grade copper and the piping is 25% thicker than other models. On the other hand, the secondary heat exchanger is manufactured with stainless steel which makes it possible to transfer heat in an efficient way. The casing is also made of durable stainless steel. Moreover, it embraces the capability of a multipurpose system where you can link the units. You can either use a System Controller that is multi-unit for up to 24 units or an optional two-unit Quick Connect. It works best for you if you want a heater to be environment-friendly as it curtails the carbon dioxide output. The main sources of energy consumption are natural gas and propane that make it 94% efficient for use. The product includes a remote thermostat that saves you from the pain of adjusting temperatures. It regulates the output temperature from 100°F to 185°F. Direct electronic ignition is one of the features too that needs only 120 volts to work. The package also contains a power cord and remote controller cord. Its Quick Connect setup allows you to connect to the secondary unit easily. As far as safety is concerned, The Noritz NCC1991 makes sure you do not end up paying extra money for any damages. 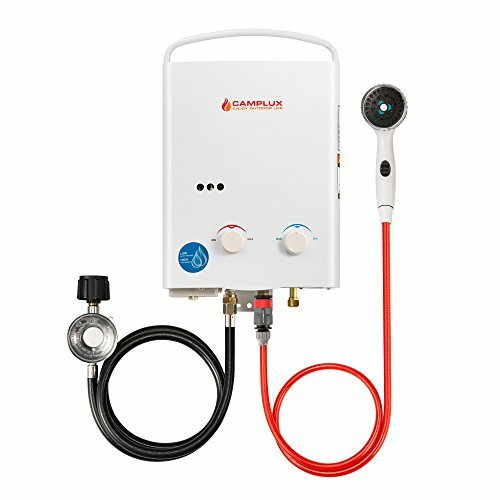 This amazing tankless heater comes with flame sensors, overheat prevention device, neutralizer refill, freeze protection, and lightning protection device. No heater could be safer than this. This heating device doesn’t come without warranty and you will enjoy a 5 years of limited heat exchanger warranty. Not only this, it also offers 5 years limited parts warranty. This product is no less than perfect for your money. If you’re looking around for a new or substitute water heater for your restaurant, hotel office or your large home, getting the appropriate commercial water heater is critical for you. Depending on the amount of hot water you require to run your business, you could find various commercial water heater tanks that could suit your needs. With so many commercial water heater choices available, here’s what you should focus on to make the right decision. Most water heater producers offer a large variety of water heaters, so they categorize their product lines down according to their designs and purposes. You’ll want to find commercial water heaters instead of residential ones. There’s a difference in the sizing of a water heater if you’re using it for residential or commercial applications although commercial water heaters are extremely useful in large homes. You won’t find a large variety of size choices for residential water heaters since the majority of houses are able to function with regular and common sizes. A residential house with four people can conveniently work at peak times without having to run hot water applications while everyone is showering. Commercial areas and businesses work under different setups unlike residential homes, and different commercial applications also differ amongst each other in many aspects. That is why there are so many additional factors to think about when choosing the ideal water heater for your business, especially if hot water is a necessary requirement. Apartment buildings, assisted living complexes, and hotels all have a large number of housing units under one roof, so a large amount of hot water must be shared. Since people can’t work around peak hours in such situations, commercial water heaters have to be appropriately sized to accommodate everyone. That’s why commercial water heaters make sizing such an important buying focal point since people have to avoid the guess-work when getting one. Most brands provide products of various types in terms of commercial water heaters and gear for practical applications. That is why only experts and knowledgeable professionals can essentially estimate your hot water requirements to figure out the right pieces and parts for your business. Too small units will not provide enough hot water to run your business, especially when you’re facing high demand. That said, a bigger commercial water heater could result in you losing extra money in the long-term business costs. Every business depends on hot water so you’ll need the optimum heater size to get the right amount of hot water. When you focus on correct sizing, people aren’t just considering the physical size of the heater since that’s just one contributing feature. There are two primary important characteristics of commercial water heater units, size and input. 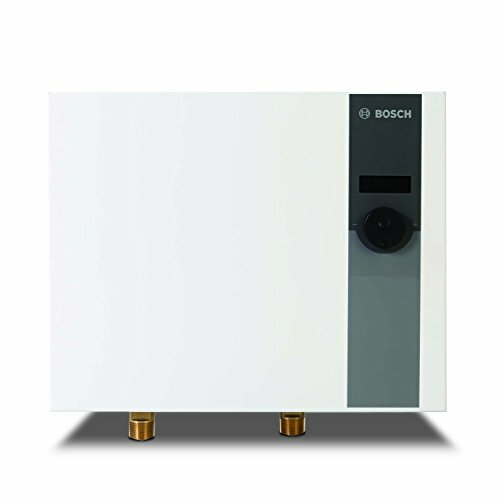 So, to put it simply, you essentially have to focus on how large tankless water heater you need to provide the appropriate amount of hot water to the appropriate number of units and people, as well as how much power the heater uses to increase the temperature of the water source. Just as you had to decide on the size using the requirements above with the needs of your business as well, you have to figure out what power input will work for you and your business, so you can save money over the long haul. You need to look for the correct commercial water heater or heater series that will give your business enough hot water using less amount of power to conserve energy and avoid excess utility bills. An expert of commercial water heaters can help you figure out the various crucial characteristics of your business model, including the number of fixtures like dishwashers, sinks, showers, pools and other aspects that have to utilize hot water. In addition, you have tobe aware of the operating hours of your business, whether it works 24/7 or during specific work times. An imperative aspect to focus on are your peak business hours where your hot water consumption is the most. Your business’s main location also determines whether you’re working in hot or cold climates which can affect your commercial water heater’s efficiency, so you’ll have to search for heaters with specific climate requirements. Other things to consider are your venting requirements, installation space sizes, physical footprint limitations and many more. With these factors in mind, you will be able to correctly evaluate the type, required BTUs, gallons, and physical size of the commercial water heater you should get to give your business the consistent hot water it needs. Overall, commercial businesses all differ in their water heater requirements. Some focus on small client bases and can work well with cheaper, compact commercial water heaters that also work great for residential purposes. Other businesses need much larger and sturdier heater models that can supply consistent water to large units and clients for your operation’s success. Once you take all the factors and needs into consideration and conversely compare the different products and models according to those factors, you should be able to choose the right commercial tankless water heater. After reviewing and comparing the different products listed above, you should seriously consider the Stiebel Eltron MINI 2.5 Commercial Electric Tankless Water Heater, because the Stiebel Eltron brand offers quality tankless water heaters. This unit is among the best commercial heaters on the market in terms of price, brand name, reliability, temperature rise, technology, design and water flow.